Free Burritos = Life. And Moe’s is Giving Them Away Right Now! Free burritos make everything better. And right now, you can get one (and maybe two!) from Moe’s Southwest Grill — all you have to do is download its rewards app. Here are all the delicious details. Once you sign up, you must redeem the offer in-store within seven days. Want a SECOND Free Burrito? Then rack up 1,000 rewards points, which are redeemable for $10 in store credit. To get your first 100 points, use Facebook to sign up, and enter another user’s promo code during the last step of registration. To earn the other 900 points, you can either spend $90 (earning 10 points for every dollar you spend), or refer friends to download the app. For everyone who signs up with your code, and then uses the app in-store, you’ll get 100 points. So, nine friends = 900 points. When added to your other 100 points, that’s $10 in Moe’s credit — enough for another free burrito! Woohoo! The promo runs from now until August 14. Want more amazing deals like free food? Here’s an epic list of 95+ freebies you can get with just your email address. 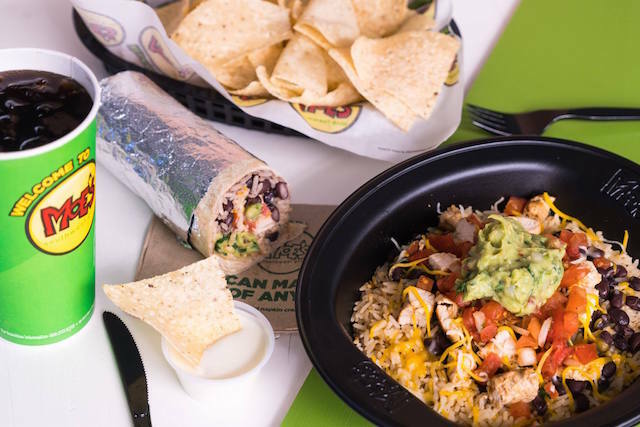 Your Turn: What’s your favorite thing to order at Moe’s?